As reported in the latest UK Heritage Hub (http://bit.ly/ukhhissue51) the Bluebell Railway has been successful in bidding for funds to support projects on the line. The Play Carriage Project will get off the ground soon after the Arts Council Museum Resilience Fund awarded the Bluebell Railway £84,150. This will see an as yet to be announced carriage being restored and created for younger visitors to play, whilst learning about railways. The estimated completion time for this project is two years. The railway has also received a £10,000 grant from the Hilary Awdry Charitable Trust for the completion of BR Standard class 5MT 73082 Camelot’s overhaul. The Trust was set up in memory of Hilary Awdry, daughter of Rev. Wilbert Awdry, famous creator of Thomas the Tank Engine. 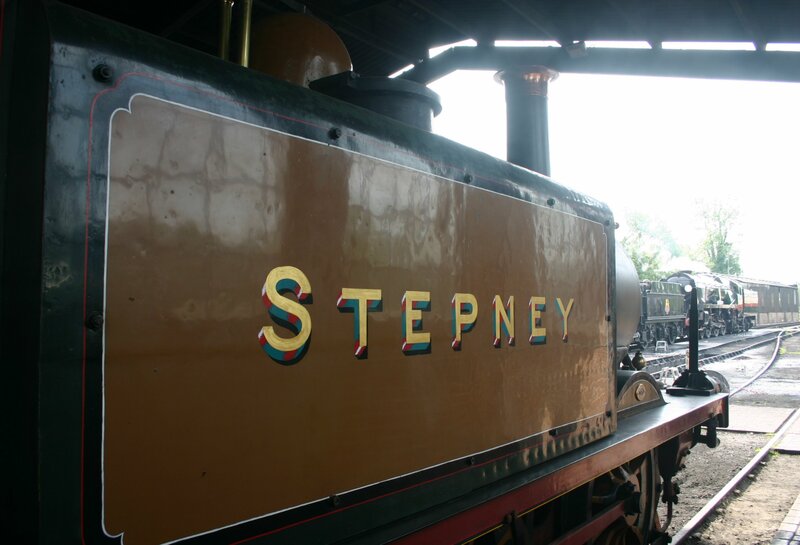 The railway has long had a link with the famous blue locomotive, with “Stepney the Bluebell Railway” being the 18th book in the famous railway series. Meanwhile progress on Q class 30541 continues, with the locomotive possibly running beyond Sheffield Park this weekend. It is great to see the Bluebell Railway flourish since the opening of the East Grinstead extension. The collection of stock to be found on the line is second only to the National Railway Museum and as such is a national treasure. I hope to be visiting at least once this year, especially with the unique Q class about to join the loco roster! As ever, watch this space! 13/03/2015 in Bluebell Railway, News - Preserved Railway. ← UK Heritage Hub Issue 51 ready to download!